The Orlando Philharmonic Orchestra kicks off its Pops Series with James Owens presents Classical Mystery Tour: A Tribute to the Beatles, Saturday, October 14 with two concerts at 2 & 8 p.m. at Bob Carr Theater, located at 401 W. Livingston St.
Music Director Eric Jacobsen leads the Philharmonic in this program, which celebrates the 50th anniversary of The Beatles’ Sgt. Pepper’s Lonely Hearts Club Band and includes original members of the Broadway sensation Beatlemania performing 30 Beatles hits as they were originally recorded. Classical Mystery Tour features Jim Owen (John Lennon) on rhythm guitar, piano, and vocals; Benjamin Chadwick (Paul McCartney) on bass guitar, piano, and vocals; Tom Teeley (George Harrison) on lead guitar and vocals; and Chris Camilleri (Ringo Starr) on drums and vocals. Insurance Office of America is the Artist Sponsor and the Accommodations Sponsor is DoubleTree by Hilton Hotel Orlando Downtown. ERIC JACOBSEN – Hailed by The New York Times as “an interpretive dynamo,” conductor and cellist Eric Jacobsen has built a reputation for engaging audiences with innovative and collaborative projects. As co-founder and Artistic Director of the adventurous orchestra The Knights and a founding member of the genre-defying string quartet Brooklyn Rider, Jacobsen, along with his brother, violinist Colin Jacobsen, was awarded a prestigious United States Artists Fellowship in 2012. Jacobsen celebrated his inaugural season with the Orlando Philharmonic Orchestra in 2015/2016. CLASSICAL MYSTERY TOUR: Since its initial performance at the Orange County Performing Arts Center (now renamed Segerstrom Center for the Arts) in 1996, Classical Mystery Tour has become the #1 Symphony Pops attraction over the last decade. The group has been performing consistently for nearly 20 years with more than 100 orchestras in the US, Canada, Europe, Asia, and Australia. The group played to packed houses at the Sydney Opera House, and has performed with America’s most prestigious orchestras: The Cleveland Orchestra, The Boston Pops, The Philadelphia Orchestra, The San Francisco Symphony, among many others. 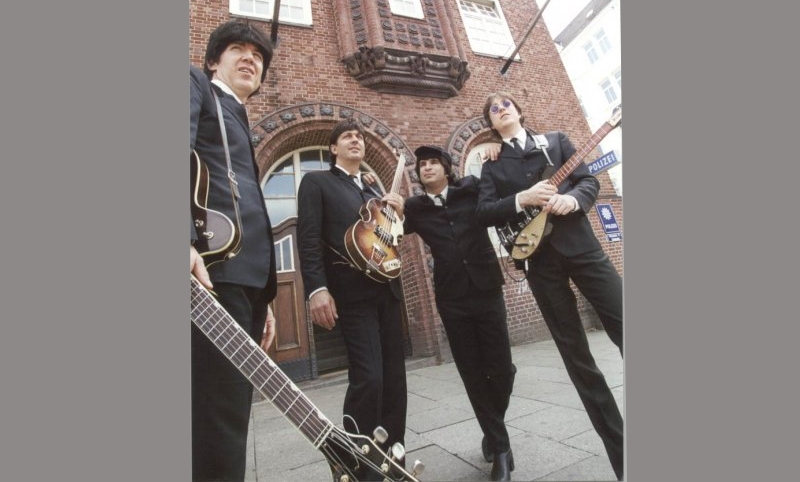 The four musicians in Classical Mystery Tour look and sound just like The Beatles, but Classical Mystery Tour is more than just a rock concert. The show presents more than two dozen Beatles tunes transcribed note-for-note and performed exactly as they were originally recorded.